Did Mister Rogers’ Car Get Stolen and Returned? Dear Car Thief, won’t you be my neighbor? Not my nemesis. While his 91st birthday yesterday marks more than 16 years since his death, Fred Rogers still gives us all the feels here at The News Wheel. I remember watching his television series “Mister Rogers’ Neighborhood” growing up, and its make-believe atmosphere reminded me many times that I am special and not alone. 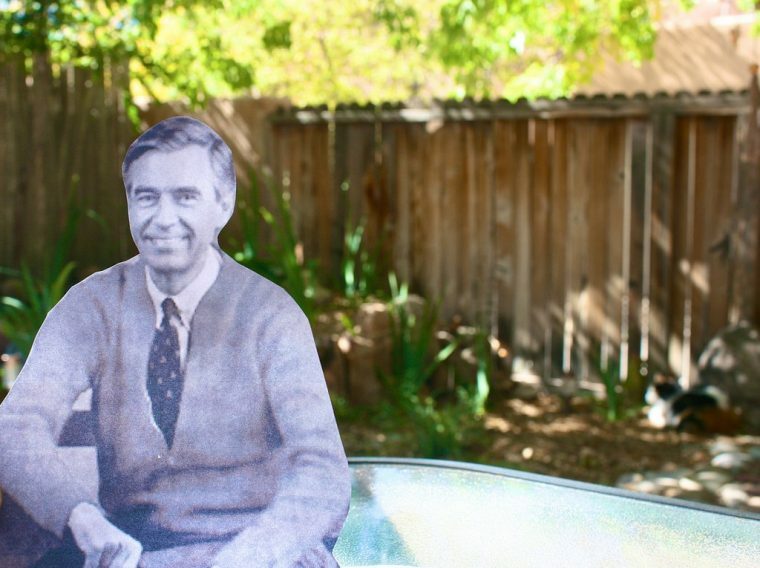 One thing you may not know is that Mister Rogers’ car reportedly went missing. Is this an urban legend floating around the internet, or did this really happen? Hop on board the trolley with me, and let’s journey to a world where we can find the answers. A past TV Guide piece mentioned that Rogers owned a Chevy Impala that he drove around for years. However, one day, while it was parked near the TV station in Pittsburgh, a crook drove away with it. Rogers filed a report with the local police, and every newspaper and radio station around the town picked up the story. This is what you called trending news back in the day before the internet came on the scene. This is the current tale you will find circulating the World Wide Web today. The earliest version we find of this event is in a March 1990 Wall Street Journal article. Below is its entry word for word. Note the differences from the other version of the story. Rogers was babysitting for his grandson — not filming at the studio. The thief still stole a chair. There is no indication of a written apology. Later versions add other details like the car theft happened a couple years before Rogers’ death. Another account mentioned that the criminals returned the vehicle after cleaning and detailing it. Regardless of whether this is fact or fiction, I find that this story perhaps stirs up the hope that good can come out of the aftermath of an evil and that you can sometimes rewrite past wrongs by doing what is right. While everyone has a heart for Mr. Rogers, no thief could have the heart to steal from him — even if they needed a chair to sit in.